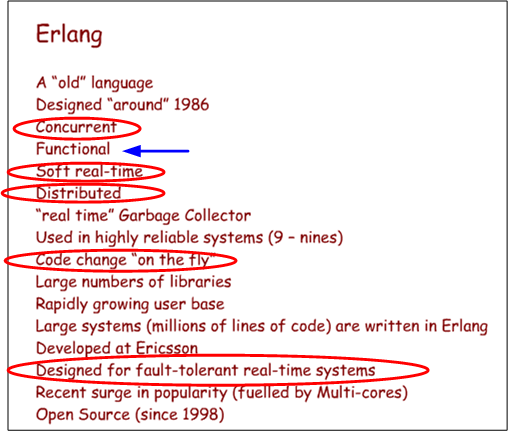 In this QCon talk: “Building Highly Available Systems In Erlang“, Erlang programming language creator and highly-entertaining speaker Joe Armstrong asserts that if you build a highly available software system, then scalability comes along for “free” with that system. Say what? At first, I wanted to ask Joe what he was smoking, but after reflecting on his assertion and his supporting evidence, I think he’s right. Isolation (of modules from each other – a module crash can’t crash other modules). Concurrency (need at least two computers in the system so that when one crashes, you can fix it while the redundant one keeps on truckin’). Isolation: Erlang processes are isolated from each other by the VM (Virtual Machine); one process cannot damage another and processes have no shared memory (look, no locks mom!). Concurrency: All spawned Erlang processes run in parallel – either virtually on one CPU, or really, on multiple cores and processor nodes. 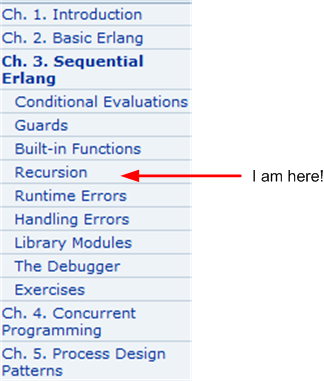 Failure Detection: Erlang processes can tell the VM that it wants to detect failures in those processes it spawns. When a parent process spawns a child process, in one line of code it can “link” to the child and be auto-notified by the VM of a crash. 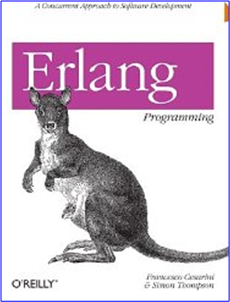 Fault Identification: In Erlang (out of band) error signals containing error descriptors are propagated to linked parent processes during runtime. 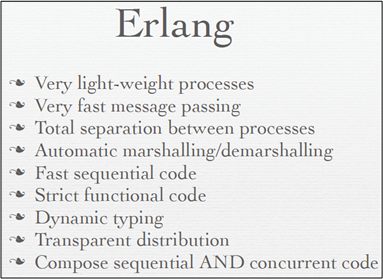 Stable Storage: Erlang contains a highly configurable, comically named database called “mnesia” . The punch line is that systems composed of entities that are isolated (property 1) and concurrently runnable (property 2) are automatically scalable. Agree?